A Personalized and Elevated Guest Experience. Streamline Productivity and Improve Guest Satisfaction. Guest Communication for the Digital Age. Everything in Working Order Around the Clock. 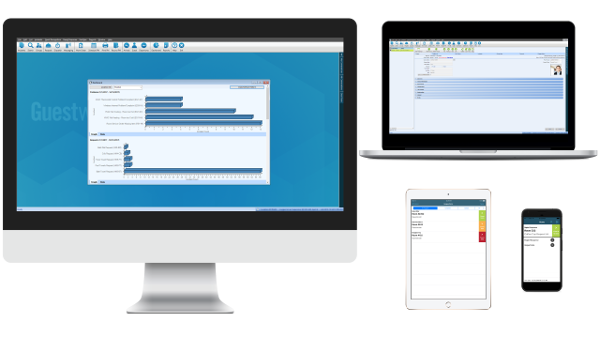 Customize to include any feature set from Guestware Suite to best serve your needs in automating and streamlining processes for your hotel size and type. Guestware interfaces with our PMS so if a guest reported an issue during a previous visit, it is logged in Guestware and appears on our pre-arrival report. I personally review this report every morning to ensure we recognize each guest to ensure any past issue does not happen again. Guestware enables Sonesta to maintain a consolidated view of guest data for our entire global portfolio. This consolidated data provides critical insight on guest preferences, opinions and trends, and allows us to be much more relevant and effective in our brand marketing initiatives. Our property is focused on providing the best guest experience possible. We use Guestware to integrate the front desk, housekeeping, engineering and the banquet floor on one, rapid-response system that quickly fulfills guest and maintenance requests. I have worked with Guestware since 2000. The software really helps us manage our guest response and guest recognition processes at our larger properties. They have been a steady and dependable vendor for us for a long time. We monitor TripAdvisor daily. Our scores are steadily climbing and Guestware was instrumental in our stronger results. 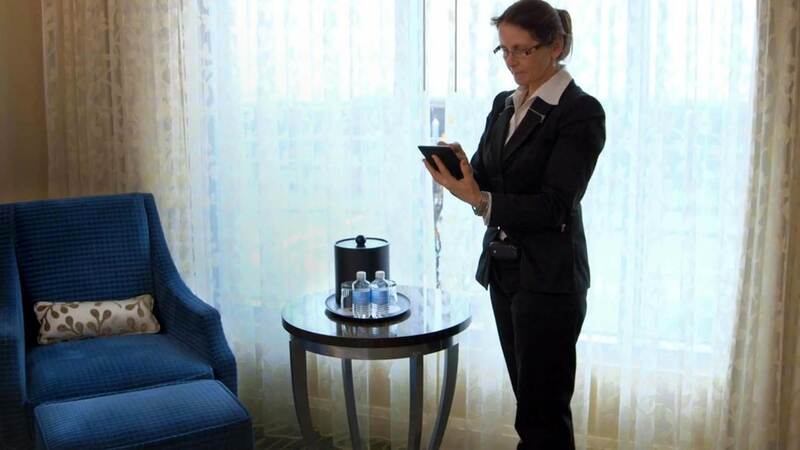 Hotel Beacon’s engineers and housekeeping staff can also generate rapid response service tickets in Guestware from their mobile device or from the hotel phones in the guest rooms. The system automatically sends the request to the appropriate person’s mobile phone for action. This lets us resolve many issues before the guest notices something is wrong. "I am thrilled with the assistance and follow up I have received from Guestware support. Guestware advisers have provided exceptional service - including calling back to the property to check on us and see if the system was running smoothly." Our housekeepers are in guestrooms every day. It is easy for us to report any maintenance issues in Guestware so engineering can be proactive and resolve them before the next check-in. We also track scheduled tasks like deep cleaning and mattress rotation. Mattresses are important to guest comfort. This kind of attention to detail is a big factor in demonstrating how we care for our guests. Guestware is a Software as a Service (SaaS) company. Your Guestware solution runs in the cloud. This cost-effective alternative to managing on premise software provides deployment flexibility and lowers costs.